President Cyril Ramaphosa's economic stimulus package and recovery plan is one of the three policies government will prioritise in the medium term. Finance Minister Tito Mboweni on Wednesday delivered the mini budget in Parliament, outlining growth boosting measures which are reliant on private sector investment. He stressed the importance of partnerships to aid development. Treasury revised down its growth projection for 2018 from 1.5% to 0.7%. This after SA's economy entered into a technical recession in the second quarter of the year, warranting government's intervention to boost the economy. "Government’s economic stimulus and recovery plan is intended to support a return to higher growth over the medium term," the policy statement read. 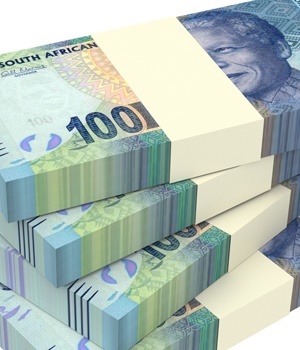 Treasury is proposing a combination of reprioritisation, changes to grant structures and in-year allocations amounting to more than R50bn, said Mboweni. To support the economic recovery plan, as well as existing reforms which have been implemented throughout the year, government will reprioritise R32.4bn over the next three years. Funding will be sourced from under-performing and non-performing areas. According to the policy statement, R15.9bn of this reprioritised amount will go towards faster-spending infrastructure programmes, clothing and textile incentives and the Expanded Public Works programme. The remaining R16.5bn will go towards programmes such as recapitalising the South African Revenue Service, a minimum wage for community health workers, goods and services in health and management of the justice system. Additionally, R14.7bn has been set aside for changes to grant structures – which will be used to upgrade informal settlements. Government will also centralise housing subsidies to the value of R1bn, which will be used to better support middle and lower income home buyers. This year R1.7bn will be added to infrastructure spending, and R3.4bn will be allocated to drought relief by upgrading water infrastructure. The president's economic stimulus package announced in September, includes substantial investment in infrastructure. The mini budget outlines how investment in social and economic infrastructure will be a focus of economic recovery over the medium term. These investments will require collaboration with the private sector and "better implementation" of government's plans, the policy statement read. Public infrastructure spending for the next three years is expected to amount to R855.2bn, state-owned enterprises will account for R370.2bn of this amount and conditional infrastructure grants will account for the remaining R485bn. Government will also promote an increase in capital investment by the private sector— as gross fixed-capital formation has declined significantly in recent years, the policy statement read.